Vancouver, British Columbia – February 22, 2017 – A.I.S. Resources Limited (TSX – NEX: AIS.H, OTCQB:AISSF) (the “Company” or “AIS”) is pleased to announce that it has commenced the first phase of its surface sampling program to examine the boron-lithium relationship in the surface brines. The results of the pit sampling program at Guayatayoc Salar have been received from the National Measurement Institute in Sydney Australia. Professor Dr Ricardo N Alonso supervised the collection of samples. The company has also been accepted for listing to the OTCQB effective January 18, 2017. The exploration sampling was completed along the eastern boundary of the Guayatayoc concessions in a rectangular pattern. This analysis allows surface maps to be made showing isobars of lithium, boron and potassium, prior to CSAMT seismic and drilling programs. 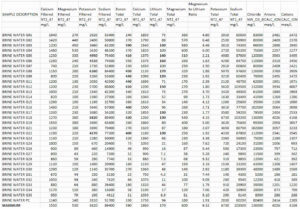 Nine pits returned lithium values of greater than 120ppm (0.012%), five pits had Potassium values greater than 4000 ppm (0.4%) and 11 pits with Boron values of greater than 400 ppm. 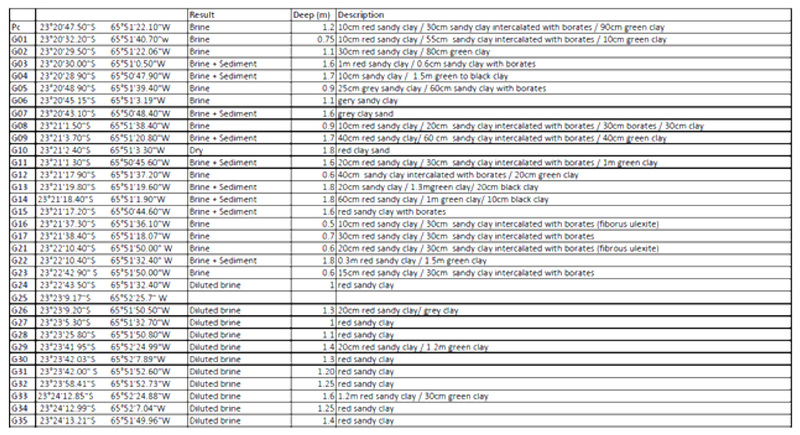 Further trenching work will be done in the central and western areas of the tenements to fully define the surface expression of lithium, boron and potassium. Prof Dr Ricardo Alonso accompanied by local geologists and support staff visited the Guayatayoc Salar in December 2016 and conducted a sampling program digging 34 pits in a geometric pattern. 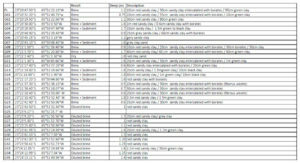 The 34 samples were sent to the Australian Government National Measurement Institute (“NMI”) in Sydney, Australia. 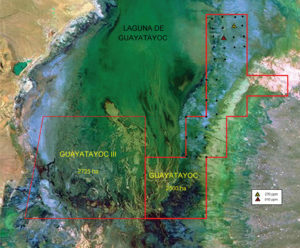 Guayatayoc is a laguna that has a boron mining licence and is located approximately 3.5 hours from the city of Salta, 43 kilometres from highway 52 turn-off at Salinas Grandes salar. The objective of the pit sampling was to create a geometric pattern of sampling to determine the relative relationships between lithium and boron, and lithium and potassium at the surface where brines had been observed. This is important when combined with the geophysical and drilling data to interpret the geohydrological data close to the surface. Most of the concentrated brine will be at much greater depths. Two one litre bottles were rinsed out in brine from the sample pit and were immersed by hand to the middle depth of the pit, which ranged from 10cm to 2 metres. Most pits were one metre wide and two metres in depth with brine depth about 50 centimetres. The sample bottles were immersed approximately at half depth and filled and capped with no air in the bottle. Sampling took place within an hour of digging. The elevation was 3,410 metres. The key exploration objective was to take a large number of samples to the south of previous sampling, in a geometric pattern over a large area, and log the data so as to create surface maps showing isobars of boron, lithium, and potassium bearing in mind the lithium and boron relationship. Ulexite (a boron mineral) was observed on the surface at nearly all the pits. Pits 3 to 9 showed higher lithium values and a lithium to boron ratio of 1:3.3-3.7. Pit 10 was not sampled. Pits 5, 6, PC, and 8 showed good flows of brine with higher lithium values. 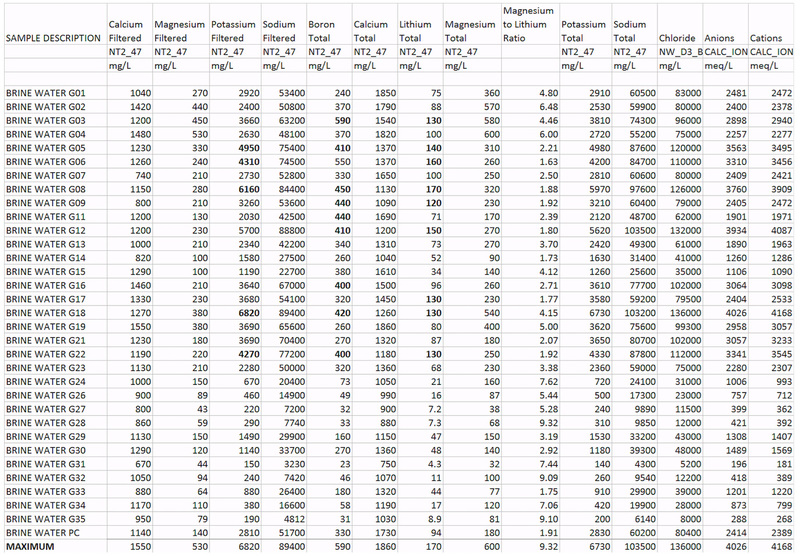 The pits also corresponded to the highest potassium and boron values. Pits 17, 18 and 22 to the south also showed high values of lithium. The brines are expected to be much more concentrated at depth and pit samples have shown that lithium, boron and potassium is disseminated across the property. Our “Estudio De Impacto Ambiental Etapa De Exploracion” or “Effect On Environment During Investigation Stage Of Exploration” has been received by the Jujuy Mines Department and stamped as being received and lodged. These reports are effective for the next two years of exploration work in both Guayatayoc and Guayatayoc III. In addition, our application to carry out geophysical work and drilling has also been lodged and waiting for approval by the Mines Department of Jujuy. Phillip Thomas, BSc Geol, MBusM, MAIG, MCIM MAIMVA, CMV, a Qualified Person as defined under NI 43-101 regulations, has reviewed the technical information that forms the basis for portions of this news release, and has approved the disclosure herein. Mr. Thomas is not independent of the Company as he is an officer and a shareholder.